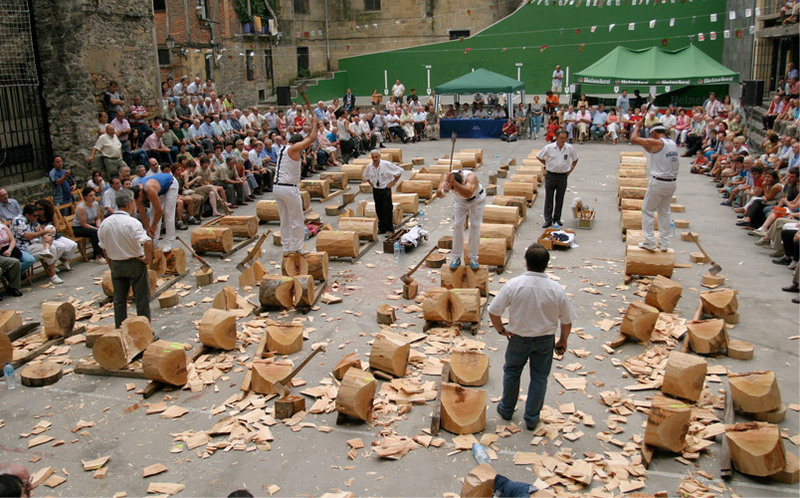 Since 1896 The Provincial Council of Gipuzkoa has instituted the so-called Euskaras Festivals. In them, the focus of the programme were, agricultural competitions and cattle ranchers, with the best of the techniques of horticulture and of the hut of the province. The fairs were complemented by literary contests, dances and autochthonous sports, in an exaltation of our customs and folklore. Antoine D`Abbadie, after having created the Euskara Parties in Sara, San Juan de Luz and Urrugne, organises a memorable Basque Party in Azpeitia, in 1893. This initiative is collected by the Provincial Council of Gipuzkoa, which organises the event for the first time in Arrasate in the year 1896. In successive years they moved to other localities, the last one being in 1913. Scheduled the following year in Hondarribia, World War I prevented its celebration. In 1927, the City Council of Donostia organised the first Basque Week, an initiative of the mayor José Antonio Beguiristain. The programme from 8 to 18 September, included very different manifestations of the Basque culture: theatre, music, sports and dance. It began with a ‘aurresku’ (traditional dance) in the Square of the Constitution, before the solemn Salve of Santa Maria. The following day, festival of the Virgin of Aránzazu, was celebrated in the district of Zubieta, culminating with an extraordinary pilgrimage in the hipódromo. And in successive days the most varied expressions of our traditional culture until then celebrated, were developed. 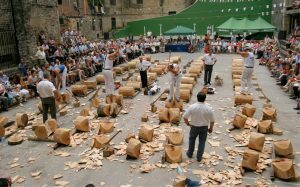 Although different events interrupted these parties for years in 1994 several Societies of the Old Part recovered the Euskal Jaiak that endures until today.